Korea Zinc Company (KZC) will invest around $300 million to expand its Australian subsidiary, Sun Metals Corporation (SMC), and create hundreds of new jobs in Townsville. Queensland Premier Annastacia Palaszczuk, who made the announcement alongside Sun Metals Chief Financial Officer Kathy Danaher, said the $300 million expansion of the Sun Metals Zinc Refinery will create many new jobs and increase zinc production by as much as 50,000 tonnes per year. 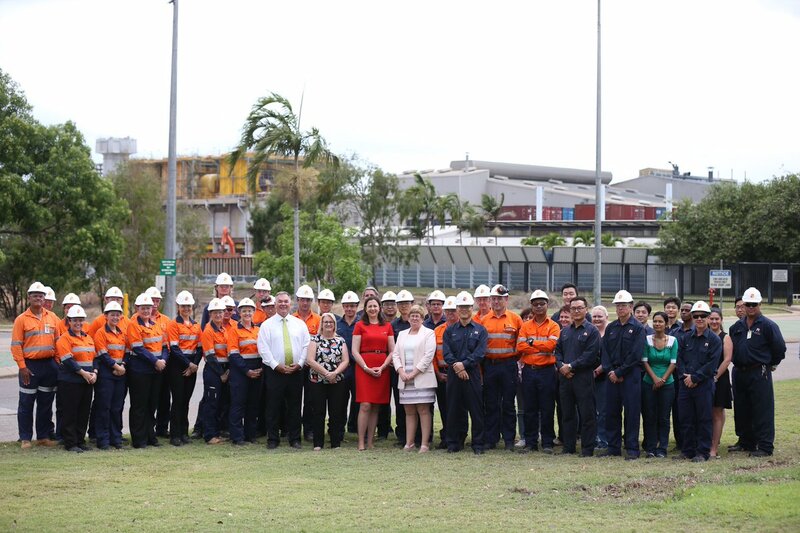 “I would like to thank Korea Zinc Company and its Australian subsidiary, SMC for showing such confidence in North Queensland and its workforce, and we look forward to continuing with this successful relationship into the future,” the Premier said. SMC CEO Yun Choi said the support from the Premier and the State Government was pivotal for the announcement of the expansion to proceed. “We’d really like to personally thank the Premier and her government for all their hard work has allowed for us to make this important announcement today,” Mr Choi said. Member for Townsville Scott Stewart noted that the multimillion expansion follows the opening of SMC’s 125-megawatt solar farm at the site in August. “The solar farm is one of the largest in the southern hemisphere and is the biggest in Australia,” he stated.